Read all of our BF Rich windows reviews to find consumer and installer viewpoints and opinions on their window series, quality and customer service. Vinyl windows are very popular here in Northern VA, where fiberglass window frames is an overkill. But when looking at replacement windows I don’t think the BF Rich stands up to the competition, there are so many other good options out there including the Infinity range from Marvin. Personally I feel the Infinity is a much better options especially if you want a natural looking window with stunning slim lines. As I recommend to all my customers, take the time to find out the performance numbers of any window before making a decision. The VT rating is an important one, this one determines how much light can flow through the window and in my opinion, the BF Rich is way too dark. The Infinity’s have a thinner frame which allows for light flow even though the glass is darker than the BF Rich, but the BF Rich has a thicker frame. Any VT range for light flow should be higher than .44. Read all of our Marvin windows reviews. I haven’t had much experience with the BF Rich windows, but the manufacturing plant is located close to my home and they are displayed in all the window shops around my area. While I haven’t really heard any bad reviews on these windows, they are not the most visually appealing choice available on the market today. Personally I find their vinyl double hung windows very bulky, the frames are thick and outdated. Another thing I noticed was the welds, which I felt they could improve on. Their low grade series of window have the Duraseal spacer in gray and their Cabernet series has good performance numbers, thanks to their Duralite spacer. Last year we replaced some of our windows with BF Rich. We saved a good sum of money so decided to replace the balance of our windows this year, we chose BF Rich again and I can’t say I am sorry that we did. The sales representative was highly professional and easy to work with. They replaced two windows in the kitchen, one in the bathroom and a few others. We are in an old house with vintage styled windows, what I loved about the BF Rich was their anti-glare features and decent performance numbers. Because of the style of windows we have we are pretty limited on what manufacturers we can use, but overall the BF Rich windows have not let us down yet and we are thrilled with them. 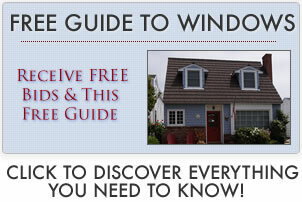 Find more pricing information on replacement windows here. We had two of our kitchen windows and two of our bedroom windows replaced with BF Rich windows recently. So far they have been nothing but a headache. While the bedroom windows seems to be alright for now, the kitchen windows started with problems within a few weeks of having them installed. The first problem was the windows wouldn’t lock, after calling BF Rich, one of their installers came out and told me to push down at the base of the window when closing. This seemed to work, but again it was short lived. The windows wouldn’t lock again and they sent another person to the property to have a look. This time we were told to keep the windows closed for a few days, giving the vinyl the chance to mold into position. This seems to have worked and my windows are locking. The new problem we are experiencing is leaking inside when it rains. The installer did come to the property and did a few adjustments, telling me it was the upper portion of the window that was the problem. Yesterday it was heavy rain and again the windows started leaking, I was horrified and immediately called the installer, who isn’t answering his phone. I am wondering if anyone else has had these problems with the BF Rich or is it just me? The windows weren’t cheap and I feel that these windows have really let us down. Our previous house had BF Rich replacements and they were a nightmare. Over time of phoning the window company and dealing with a stream of installers, we actually gave up and lived with the problem. The best day was the day we moved out of the house. The problem we had with them was the wind noise we had every time the wind picked up. You would think our home was haunted if you weren’t aware of the problem and we had so many sleepless nights because the noise would be deafening. The installers tried time and time again to repair the window and every time they promised it was resolved, but it never was. Bugs would get behind the screen of the windows all the time and not being the cheapest windows on the market, this was a highly frustrating experience for us. We decided to replace our Thermapane windows with BF Rich a few years ago. We have a colonial home and the BF Rich were the best styled windows for the property. We used a company called Wheaton Door and Glass and they arrived on time and did the installation quickly. We were thrilled with the windows, they looked great and were such an improvement over our previous windows. The problem is that during the installation they somehow managed to cause damage to the window openings and covered them in caulk to fix the problem. While we are thrilled with the windows themselves, we probably should have been a little tighter when it came to signing off on the installation.